While winter may be coming that does not mean home sales stop or that people don’t want to buy homes anymore. Certainly the home buyer traffic does slow down as compared to the spring and summer time selling season but people still want to buy homes regardless of the time of year. The question is if you have to sell your home in the winter time what do you do to ensure the best chances of selling your home? This article will take you through some great wintertime home selling tips in order to help maximize your chances of selling your home. 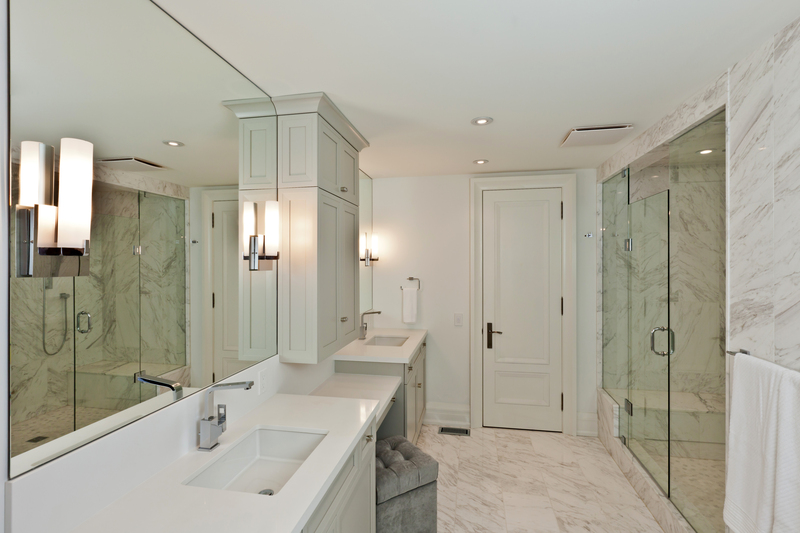 Anytime you sell a home there is always some initial preparation work required in order to make it presentable to buyers, unless of course you want to sell your home as-is and take whatever you can get. For most people though their home is their largest asset and they would like to get as much money as possible. Proper preparation involves making sure all systems are working properly (heating, electrical, plumbing etc. ), putting away clutter, removing excess furnishings as well as cleaning carpets and painting the interior of the home. If you have the option and the time, getting your home professionally staged will improve the look of the interior of your home. Home stagers know how to position furniture and decorations for maximum visual impact. Not only will your staged home look great in person it will also look great in pictures which is where buyers usually will first see your home. While outside landscaping usually can’t be dealt with due to snow or ice, some issues should be addressed. Dead trees, dead bushes and other outdoor dead plants should be removed. Dead trees especially pose a hazard if they happen to fall on the house, but also by getting rid of them you have nothing in your yard that will distract buyers when they come to see your home. By keeping your landscape free and clear of dead plantings you show that your house is something that you have cared for during all seasons. Depending on the time of winter you find your home on the market, decorating with the season is a great way to make your home look great and be inviting to buyers. During Thanksgiving and through the New Year’s putting up holiday lights and decorations creates a festive mood that buyers will appreciate. Don’t overdo it on the holiday decorations though, your home needs to look balanced and not come off looking like an amusement park. Once the holiday season is over make sure to take down the decorations as well or to change them to something more appropriate for the time of winter. Leaving decorations on well past the holiday season can turn into a distraction for buyers. For your roof, if it is continually covered with snow during the winter months there is not much you can do for the outside parts of the roof. The one risk you may run into is ice damning. Ice damns happen when your attic space does not have enough air circulation and ice builds up on the inside of the attic from condensation trapped there. Over time with the temperatures being very cold the ice damns grow. As the ice melts on slightly warmer days the water from the melted ice drips onto your interior ceilings making it look like you have a roof leak problem. Painting over the water stains only covers up the problem and does not fix it. The water stains will return during the next warm day. Best bet to deal with ice damns in your roof is to bring in a qualified roofing contractor and have them look at the ventilation in your attic. A roofing contractor will be able to offer the best suggestions for your particular roof style and how to prevent any ice damn problem. While the air conditioning part of the HVAC system can’t be tested during the winter it is best make sure the heating portion of your system does work. Heating only a few rooms in your house because those are the only rooms you use, does not work for buyers. When selling your home you should ensure that your HVAC system has been recently inspected and tested by a licensed contractor and that the system is putting out heat as it is supposed to. Nothing will kill a home deal faster than a defective heater during winter time. So make sure your filters are changed and the HVAC has been recently serviced. If you have a high efficiency HVAC system, having on hand winter and summer time electric bills to show buyers will go a long way to letting them know the money they can save on heating and cooling bills. As part of being ready anytime for home showings you will have to be vigilant in keeping snow and ice off of the walkways and driveway. 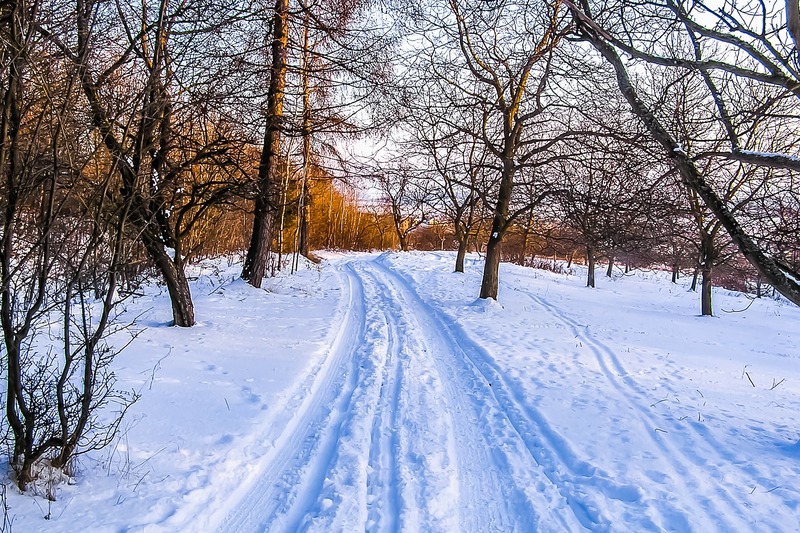 You don’t want buyers to be frustrated trying to get to you home through heavy snow or worse you don’t want them slipping and hurting themselves on ice. If there are parts of your outdoors that are must see to help sell your home (outdoor patio, deck, pergola) then make sure you clean those areas as well so buyers can get a good look at everything your home has to offer. If you have a good working fireplace and have enough time to start it up prior to a showing then do so. Not only does the fire “warm” the buyers up, it also looks great on a cold winter day. If you don’t have enough time to start it up due to short notice, make sure the fireplace looks neat and presentable. With winter time home sales being slower than spring and summer due to fewer buyers being out, getting the home price right is critical during this time period. Fewer buyers means lower demand which also means an overly high price on your home will likely not attract any serious buyers. Instead set the price right to get the attention of those buyers who are actively looking. The right price may even force some buyers to get off the sidelines and come view your home in the winter rather than waiting for warmer weather to come back. More buyer interest means a great chance of selling your home within a reasonable amount of time. Price your home wrong and you still may be on the market come spring time only then you have to compete with newer listings by reducing your price to get buyer interest. When a home sits on the market for too long then buyers begin to question why the home has been sitting for so long and may not be as interested in it. Selling a home during the winter does require some extra preparation in order to make sure buyers see your home and want to visit it. With lower buyer foot traffic prices for homes also have a tendency to be less than other times due to lower buyer demand. By preparing and pricing your home properly you put yourself in a great position to sell your home during the winter time. 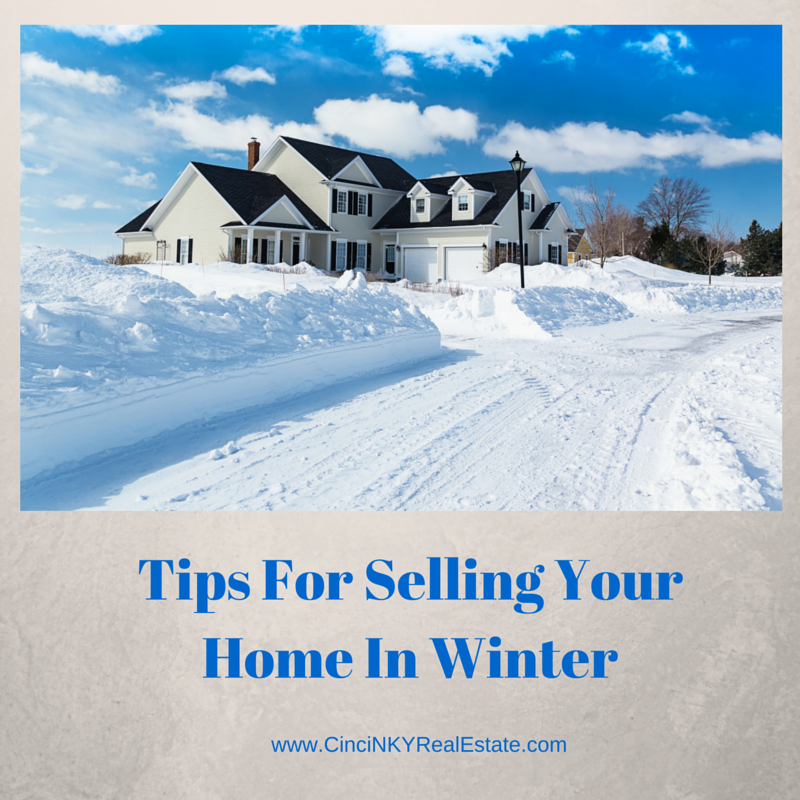 About the author: The above article “Tips For Selling Your Home In Winter” was provided by Paul Sian. Paul can be reached at paul.sian@herrealtors.com or by phone at 513-560-8002. With over 10+ years experience, if you’re thinking of selling or buying, I would love to share my marketing knowledge and expertise.